This means that the volatility of Chinese stocks is unlikely to have a strong direct impact on consumer spending or the corporate sector as much as such a decline would impact the US and other high income countries. If this is true, it begs the question: Why did Chinese policy makers respond so aggressively? The government (and state-owned enterprises) dominate the Chinese stock market. Estimates place it near 85%. Foreign investors, which own 20% of US shares and 30% of Japan's shares, own 1% of China's A-shares. Chinese shares that trade in Hong Kong, Taiwan, and the US have fared considerably better than the A-shares that trade in Shanghai and Shenzhen. The Chinese government's aggressive policy response to arrest the decline in the stock market appears clumsy, but many countries would have responded to a 30% drop in share prices over a three week period. We note that numerous central banks have been adding equities to reserves. We also note that as part of its quantitative easing, the Bank of Japan is buying Japanese shares via ETFs. The yen, of course, is a recognized reserve currency and a component of the SDR. There has been some effort to deconstruct "freely usable". It involves trade and service payments, financial account transactions, international banking liabilities and debt securities. There may also be market-based metrics like bid-offer spreads and market depth, as in derivatives. While much of this can be measured, there remains a subjective (political?) component. In addition, as we have noted before, for these purposes, Chinese trade with its SAR Hong Kong that is denominated in yuan should not be counted. 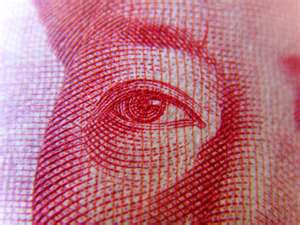 The issue of the yuan's inclusion into the SDR is commanding much attention and speculation. There is a related issue that is worth contemplating as well. If it is to be included, what should its weight be? The weight is a function of its export share and use as a reserve asset. China is the world's largest exporter while its share of global reserves appears to be miniscule. Simply based on its exports, and excluding those to Hong Kong, but including some of Hong Kong's exports as part of China's, the yuan's weight could be significant. A rough estimate would put it between 12% and 15%. Once a decision is made to include the yuan, negotiations will likely take place over its weighting, and theoretically, this could be phased in over time.